Can’t hear phone calls or call volume too low issue on Pixel 3 and Pixel 3 XL 9.0 Pie devices. There are different types of volume issues occurs such as headphone volume low, low call volume on speaker, no sound in calls after update device and more. Has any Pixel users had this problem? Google Pixel 3 and Pixel 3 XL come with latest android 9 Pie OS. So you can quickly increase or decrease phone volume or media sound to press volume up or down key from any screen (Even unlock your device). Check out below given possible solutions to fix call volume too low issue on Pixel 3 XL and Pixel 3 Pie. If you have facing extremely low in call volume on Google Pixel 3, Pixel 3 XL and other android 9 Pie devices, try below given troubleshooting methods to fix this issues. It will useful to fix bugs and improve Pixel 3 performance. Press and hold the power button in your Pixel 3 and then tap restart button to reboot your device. Now try to make phone call and check fix volume issue. 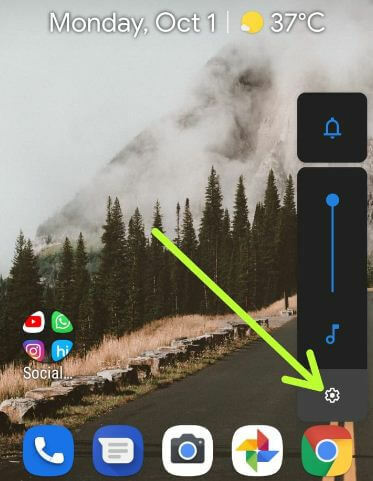 You can quickly adjust volume settings on your Pixel 3 & Pixel 3 XL Pie using volume up or volume down button. 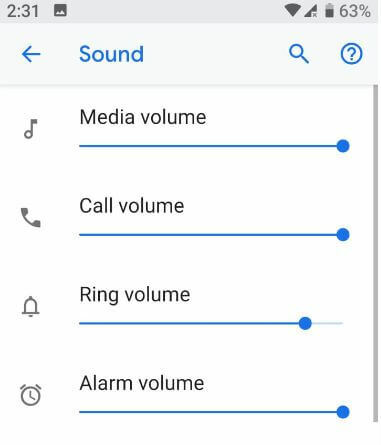 Also change phone volume in your Google Pixel 3 device using below given sound settings. When phone call is running and sometimes we can’t hear voice clearly, poor network signal is the reason behind this problem. If you’ve Pixel 3 or Pixel 3 XL has low quality call issues, you’ll put Pixel 3 into speakerphone or use headphone to fix this. Find nearby places that have good network signal and make phone calls to check fix no sound issues. If use microphone, make sure nothing is in front of microphone that causing to poor call quality on your Google Pixel 3 or Pixel 3 XL 9.0. You can find third party apps that causing this low call volume problem on Pixel 3 and Pixel 3 XL using safe mode. When turn on safe mode, it will disable all third party apps from your device. It will take 30-50 seconds to reboot your device. Now make phone call and check facing problem on sound. If you can’t found any problem, it means any third party apps causing this issue. Remove safe mode on Pixel 3 to restart it. After reboot device, delete one by one recently apps until fix Pixel 3 call volume problem. 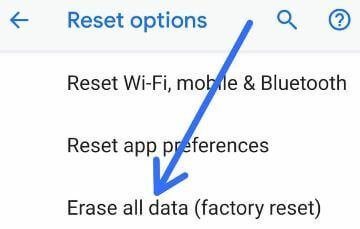 Back up important data safely after perform this Google Pixel 3 factory reset data settings. It will remove all your phone data. Reset all phone settings. After restart you’re Google Pixel 3, make a phone call and check fix low call volume problem or not. If you still facing issues, hard reset Google Pixel 3. Do you have any alternative methods to fix call volume too low issue on Pixel 3 Pie? Share with us in below comment box. Don’t forget to share with others if you found it helpful.